Ellie is an innovative new portable sterilization product for baby (bottles and pacifiers) and personal (keys, phones, etc.) products utilizing LED UV light. Ellie is a brand new product, from a brand new company in a relatively new industry: portable UV sterilization. RayVio, the parent VC-funded company, developed TRUVIOLET technology to sterilize air and water by breaking the DNA of 99.9% of germs. To test the potential marketplace, RayVio worked in conjunction with Liquid Agency to develop branding and create a launch strategy; the success of which relied on the collection of email addresses. Liquid suggested a partnership with Anvil in order to gather these addresses and ensure a successful product launch on Indiegogo. Anvil used a variety of marketing channels (search, display, Facebook and Instagram) and ad formats, in order to expand reach. 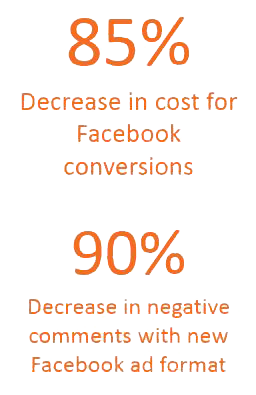 Facebook Lead Gen ads were key in shortening the conversion path while lowering the cost per conversion. The platform’s ability to create a complex audience, which included interest exclusions, was a crucial factor in the campaign’s overall success. Due to the constricted timelines, limited research on the target market, and evolving messaging and offers, the paid media team had to be dynamic and innovative. Anvil helped generate over 6,000 emails in less than 2-weeks prior to launch and was able to help RayVio surpass their goal of $40,000 raised in the first 48 hours. When the 30-day campaign was over, Ellie raised over $100,000 in revenue (2.5x of the original target).